Paul Weller has labelled fans who are hoping his old band The Jam to reform "stupid"
Paul Weller thinks fans are "stupid" if they believe there's a chance of The Jam getting back together. The 58-year-old rocker found fame as frontman of the group and though they went their separate ways in 1982, a number of their loyal following have often clamoured for them to reunite, but Paul has always been adamant that won't happen so can't understand why some people still hold out hope of seeing him on stage again with his former bandmates. He said: "Recently there was some Jam tribute in Liverpool and I think Bruce (Foxton, former bandmate)'s band were playing and some fans got angry because I didn't turn up and we didn't re-form And it's like, 'Man, are you stupid? You must know by now that I ain't gonna do that, right? But some people's expectations are very different from mine." 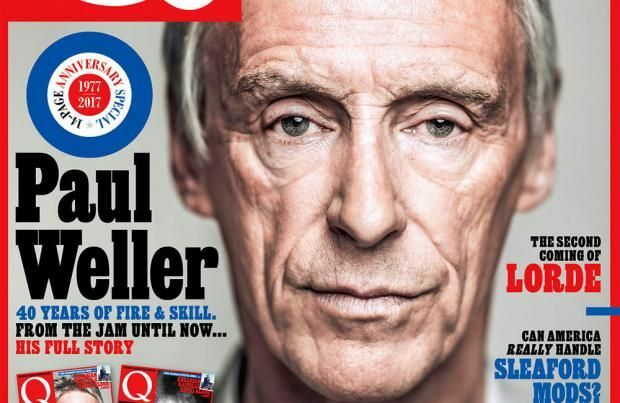 In his solo gigs, Paul happily performs some songs by The Jam and his other old band Style Council, but admits he no longer feels able to "do justice" to one of his first group's most famous hits, 'Going Underground'. He told the latest issue of Q magazine: "I wouldn't be able to do that one justice. "And if I don't feel the words to something any more, that's just cabaret, which I don't do. A percentage of people will always get upset by that." The 'Changingman' hitmaker admits he wasn't always easy to work with in the early days of his career. He said: "[I was] arrogant, overly serious and quite spoilt as well. "By the time I was 18, although I wasn't a f***ing superstar or anything, nevertheless I was making my living playing music and didn't really have a boss as such. "But I was on a mission and I was trying to keep the band on course, which was difficult sometimes. There were lots of things the record company suggested we should be doing that I thought, 'No f***ing way'. I had a lot to fight against."